I was recently asked by a reader to write a column on the fabulous seafront area of historic Hove known as Cliftonville which is said to have taken its name from Clifton Cottage that was situated on land that became the foot of Albany Villas. 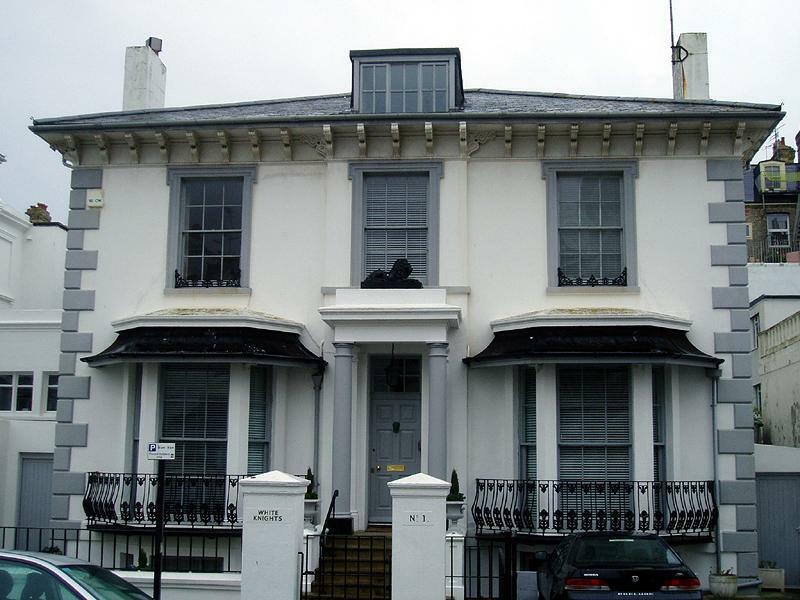 Lower Cliftonville includes Osborne Villas, Medina Villas and Albany Villas whilst Ventnor Villas, Hova Villas and George Street are all within Upper Cliftonville. Most of the development, as the road names suggest, contain grand, Italianesque houses. The working-class George Street, which took its name from its developer, George Gallard, is, of course, the exception. Cliftonville was the brainchild of Gallard along with William Kirkpatrick, George Hall and Richard Webb Mighell. Although the partnership fell apart in 1852, the general plans for the estate went ahead soon afterwards. Cliftonville was built on part of the space between the old village of Hove and the then recently developed Adelaide Crescent and Palmeira Square. The general architectural style can be compared to Osborne House in the Isle of Wight which had just replaced our Royal Pavilion as Queen Victoria’s official residence. Arched windows and pitched roofs with corbelled eaves and belvederes (squat towers), feature throughout. Interestingly, Cliftonville Station was built in 1865 and stands approximately on the site of the Hove Station of today. The gap between Cliftonville and Adelaide Crescent began to be filled by the West Brighton Estate of First, Second, Grand, Third and Fourth Avenues in 1871. There are several great houses along Albany Villas which particularly stand out including several which are Grade II Listed. The several strange extensions by greedy developers are certainly overshadowed by the many great details which have survived. The best building is without doubt No.1 – White Knights. Most of the houses on the street are semi-detached but White Knights, on the east side, is a beautiful detached residence with proportions that are amongst the Brighton & Hove’s finest. Dresden House (a future column topic), on the west side, was, until recently, a large nursing home which also encompassed the buildings behind on Medina Villas. A beautiful memorial garden sits in-between the nine originally separate houses which make up the complex. Many of the furnishings have been auctioned already and Oakleys are currently marketing the lot for a price far beyond my means. “What on earth is happening to Dresden House?” ask the concerned residents of Albany and Medina Villas.